Oh no it’s a waygook! | Kimchi with Eish! Oh no it’s a waygook! Waygook! Waygookee! Aah Waygookee! That is what I hear everyday. Walking down the street, on the bus, in the supermarket – EVERYWHERE! For some or other reason Koreans find it necessary to exclaim at the top of their voices when they spot a Waygook. 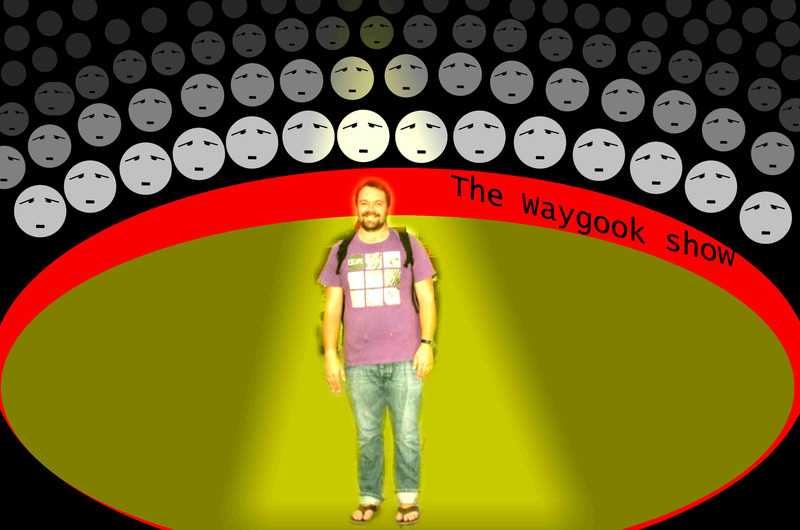 What is a waygook, you ask – I am a waygook. A foreigner. A non korean. I am not part of this “pure” race. I have been walking the same way to and from work now for 8 months. I pretty much see the same people on my path everyday. But alas I am still greeted with “ah Waygookee” every time they spot me. It reminds me of being on safari in the bush and keeping track of the animals we spot. Ah there is an elephant, there is a giraffe and so on. Only difference is I am now the animal. Koreans are not used to foreigners and we are treated as aliens sometimes! Korean kid: Oooh, way-guk-in ib-ni-da! Chris, that’s brilliant!!!! Will definitely do it next time! Whoa, what a funny pictures and contents. If we come across foreigner in the street, we murmur each other. Because running into foreigner on the way is quite unfamiliar to many Koreans. I begin to understand your position, now. I will be careful from now on. Glad you enjoyed it as saw the humor in it! Yes we are constantly reminded that we a are a rare breed here in Korea. And in Daegu there are even less foreigners than in other Korean cities so we get shocked expressions more often! The funniest is when little kids see you and directly after their “Eo, Oi-guk-in-i-da.” they run and hide behind their mothers! It takes some getting used to, to be completely different from everyone else! Thank you for reading!